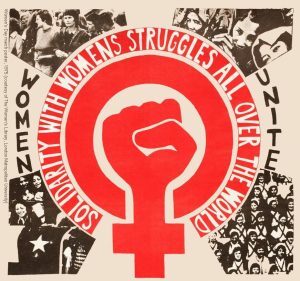 Feminism in India- Fad or Fab? 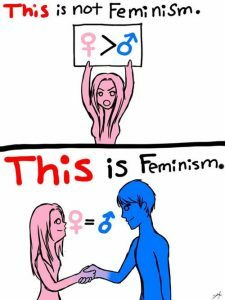 Feminism is defined as the equality between both genders. For a long time, the female population has been oppressed and mistreated. In the modern times, however, women have been fighting this oppression and asking for their rights. This is needed and one rightfully so. Many of us, who live in urban areas, are luckily treated as equals. However, gender discrimination continues to exist in large parts of our country. Saarthi Kumari is a 19yr old girl who used to work in our house as a maid. She was sent back to her hometown as they had found a groom for her. She however, didn’t even know the man and got married to him. He does not allow her to work. In the same family, they have a son who is well educated and settles in Bangalore. Saarthi is not the only girl who is subject to such discrimination. This shows that feminism is needed in our country. Often, girls aren’t allowed to dress according to their will. They are judged, ridiculed and teased when they wear clothes that show skin. They are not allowed to work after marriage. They are expected to carry themselves in a graceful manner. They are supposed to be in the kitchen and look after the children. These are the expectations set for a woman. Females are often not allowed into some places of worship. For example, in a Karthik temple (Shabrimalla), women weren’t allowed to enter. In response to this, some women dressed up as men to enter the temple. In another temple in North India, women had protested against being denied entry. This led the temple into opening the doors for them as well. Initially, females weren’t even allowed to vote but after fighting for their rights, they were given this privilege. Instances like these show us that feminism is a vital requirement and is bringing change. 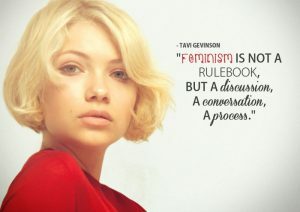 Unfortunately, some women have also started misusing the name of feminism. They are ill-treating men as they now believe that they are superior and deserve to be. Women who are already treated equally are protesting in the name of feminism. Feminism is required mainly in rural and backward thinking areas. By doing so, we will be able to bring change in the mentality of the people, which is where it is most required. Written by Jahnavi Banotra of Grade 8C.